ImagePrinter Pro. Master PDF Editor for macOS, Windows and Linux. • Edit PDF text and images, Mark and annotate, Merge and split. • Validation Forms and Calculate Values. • Adding a digital signature and Signing PDF Documents. • Fast and simple PDF forms fill out. • Changing font attributes (size, family, color, etc). 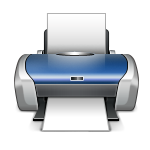 ImagePrinter Pro it is a powerful virtual printer that allows you to convert any document, such as PDFs, MS Office documents, and web pages, into portable print-ready image files. Supported output formats include PDF, BMP, PNG, GIF, JPEG, JPEG2000, TIFF, SWF, RTF, PDF, DjVu, XLS and HTML. Master PDF Editor allows you to create, edit, preview, encrypt, sign and print PDF documents. Includes advanced annotation tools that allow you to add virtual sticky notes and to indicate text to highlight, underline, and strike out without making changes to the actual PDF text. 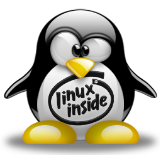 This version has no limitations and can be installed and used on almost any modern Linux system. 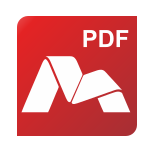 Master PDF Editor functionality is implemented in complete accordance with PDF specifications. Enjoy effortless editing of texts in your PDF documents including formatting, styles, alignment, line spacing and more. Insert annotations, add comments, highlight or strikeout fragments of text easily. Digital sign your editions to ensure authenticity. Add, move or delete pages of PDF documents or even transfer pages to another document with a simple drag-n-drop operation. Password-protect viable PDF files to restrict unauthorized opening, encrypt the document with a certificate, or digital sign it to secure authorship. Master PDF Editor is a true cross-platform application working on Windows, MacOS and Linux. Start your work on one OS, continue on another. The built-in redacting capabilities make it easy to hide private or confidential information in the document, so the PDF could be published without disclosing too much. Quickly put your logotype as a watermark or into header and footer of each page with minimum editing. Drawn initials are supported too.